Are you thinking about where to go in Switzerland? Switzerland has beautiful scenery and a small population. The city and the country always look comfortable and quiet, and have a rural charm. There are many medieval buildings in the city, and Gothic and Baroque buildings are particularly eye-catching. On the Swiss side of the Alps, it is a paradise for skiers. Geneva, Lucerne, Basel, Zurich, Jungfrau, are some best places to visit in Switzerland as each place is nostalgic. Despite being in the heart of Europe, Switzerland has always held onto their own unique customs and culture. 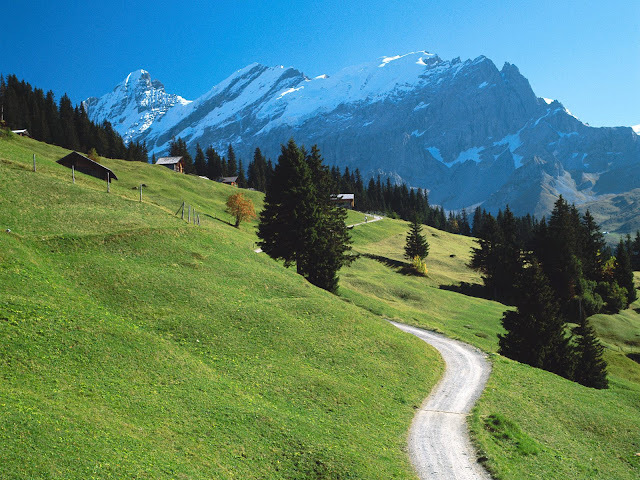 From yodeling to Alpine horn playing, Switzerland has a distinct identity which is all its own. This country is dominated by its Alpine mountain range, with the imposing Matterhorn having tempted climbers for generations. Of course, Switzerland is also famous for its clocks and watches, and it seems like everything runs on time here. As a solo traveller you can set your own agenda. Make sure to soak up as much of the atmosphere as you can on your visit. Winter is the best time to travel to Switzerland. Here in this Switzerland travel guide and blog, you can find some unique places to visit in Switzerland and fun things to do this winter. Basel is located at the junction of the Rhine Bay and Germany and France. It is the most important transportation hub connecting France, Germany and Switzerland. The highways of the three countries meet here. The city retains the characteristics of the German-speaking city, and the combination of modern and classical is perfect and very orderly. And here is the birthplace of King Federer. Zurich enjoys the reputation of being the richest city in Europe, European millionaire city and financial center. Not only that, but the environment, the architecture, the culture, the atmosphere of life here exudes a unique charm. There are mountains and lakes, and there are lights and hustle and bustle. 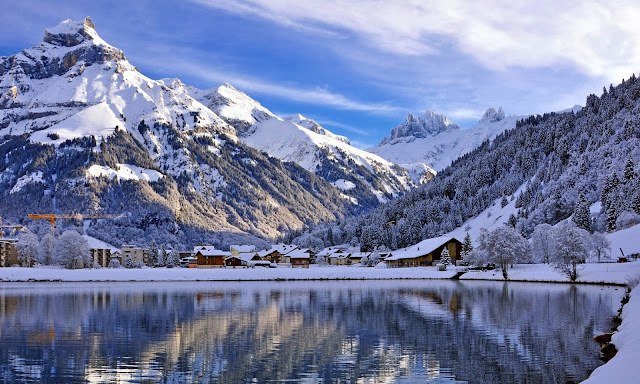 If skiing is not the main purpose of your visit to Switzerland, presumably you are coming to enjoy the architecture of the Middle Ages and the laid-back idyllic scenery. You can see beautiful fields, charming country roads, magnificent snow-capped mountains, old towns. The HTMi, Hotel and Tourism Management Institute is located in the small town of Somberg in the Canton of Lucerne. Bern is in the Bernese Oberland, surrounded by the Swiss Alps and the Aare Rive. The capital looks least like a capital. In the streets and alleys of the city, you can feel the warmth of the country and the elegance of the nobles. There are many street springs in the streets of the city of Bern. So Bern is also known as the spring city. Interlaken, the important stop of the Swiss Golden Pass train, connecting Lake Brienz with Lake Thun, is an important gateway to the Jungfrau and Schilthorn, with the best natural scenery in Switzerland. With turquoise blue waters, mountainous peaks of permanent snow and a fresh breeze on the face, Interlaken is guarded by Lake Thun and Lake Brienz. The first is the best known, with famous mountains such as the Niesen or the Harder Kulm and the views of the powerful and well-known Jungfrau, Eiger and Mönch. A water trip through the Lake Thun and Lake Brienz will take you through bucolic fishing ports and castles full of history. Be it the Mediterranean air on Lake Thun or the journey through the transparent glacial waters on Lake Brienz. Close by are the Giessbach waterfalls, which are truly impressive and can be accessed from below through a walkway. They are in a forest where there is a luxury hotel that has its own zipper to the lake. It is a paradise for skiers, and with the wildflowers in the best mountains to visit in summer, it is the best time to hike in Switzerland. Lugano is the largest city in the Italian-speaking region of Switzerland, and it also has the casual, romantic and warm Italian atmosphere. The southernmost city in Switzerland has some colourful markets of the world, unique antique shops, a small park by the lake and the best places to tent in Switzerland. There are no unique attractions in the mountains and lakes, staggered alleys, and the whole city is a famous painting. Several airlines offer direct flights to the Swiss airports of Zurich, Geneva, Bern and Basel, from where you can take direct trains to Zermatt (between three and four hours). The village of Zermatt is dominated by one of the greatest symbols of Switzerland, the unmistakable Matterhorn peak of Mount Matterhorn. 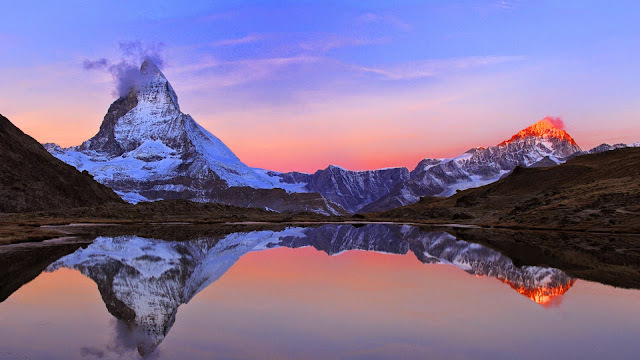 Zermatt is a paradise for glaciers with snow-capped mountains. The stretches of white mountains line the beautiful lines of the sky, and the greenery and flowers scattered among the valleys make the whites more transparent. Located in the canton of Valais, in the south of the country and bordering Italy, Zermatt is one of the most famous mountain destinations in the Swiss Alps. Matterhorn Museum shows the history and traditions of the town. When spring and summer arrive, hiking in the mountains of Zermatt is one of the favorite activities of the locals. Watch the mountain lake and the snow mountain singing songs. Skiing in Zermatt takes you to another dimension. The fabulous landscape will captivate your attention from the moment you step on the station. And who does not dazzle being surrounded by 29 peaks that exceed 4000 meters? The three ski areas of Zermatt rise above 3100 meters. This translates into excellent snow conditions and long tracks. For example, the track that starts at the Klein Matterhorn cable car, 3820 meters high, and ends in Zermatt, is 13 kilometers long and 2200 meters high, being one of the longest and highest tracks in the world. You can also end the day in the idyllic village of Findeln, tasting a fondue in one of its restaurants. The splendor of the sun in the alpine snow is unimaginable, nowhere is there such an exhibition of size and beauty as can be seen from the Gornergrat Top. Gornergrat is one of the three skiing domains of Zermatt. The other two are Sunnegga Rothorn and Schwarzsee. In this last one is located the Matterhorn Glacier Paradise, the highest panoramic viewpoint in Europe, at 3,883 meters, accessible through the cable car that climbs the highest altitude of the continent. Visit the Glacier Palace, located 15 meters below the surface and decorated with ice sculptures, a restaurant and a shop. From Zermatt you can also access the Cervinia station in Italian territory. The panoramic views of much of Switzerland, northern Italy, and even the French Alps, is something truly extraordinary. Here you will discover the silent, wild, and beautiful landscape of the eternal alpine ice. Located on the shores of Lake Geneva, Montreux has a natural romantic atmosphere. The Chillon Castle on the lake is a model of the Swiss castle. You can boat on the lake, or stroll through the town's old buildings, and breathe its romantic atmosphere. The mild climate, plenty of sunshine and pleasant temperatures create a good environment for Montreux. It is part of the French-speaking part of Switzerland, with a view of Lake Geneva and the Swiss Alps. This small town is full of French romance and atmosphere. The Olympic Museum is the largest museum in the world to record the history of the Olympic Movement and the most complete collection of Olympic materials in the world. We recommend taking a trip to Gruyères, where you will find the incredible H.R. Giger museum. Trust us when we tell you that this is no ordinary museum. The creator of the monsters from the Alien movies having designed this place himself in trademark Gothic style. Geneva is in the southwest corner of Switzerland, and Switzerland's largest lake is in its north, also known by its name - Lake Geneva. Geneva is a modern city, but the main attractions are concentrated on the shores of Lake Geneva, which can be visited on foot. The United Nations European headquarters is also here, so it is not only a Swiss city but also a city of the world. It is not always easy to maintain good eating habits while traveling. You rarely have the time or utensils to cook at home. At the campsite, or between two hotels, the priority is rarely to make good food, so we end up improvising and giving in to the ease of ordering pizzas. And yet, there are solutions to eat well on a trip and without spending too much! Mumbai Square asked their kitchen and food experts to give tips and ideas on how to make travel recipes easy and quick to prepare healthy make ahead meals for road trip. Sunday road trip sandwiches with smoked salmon and fromage frais. 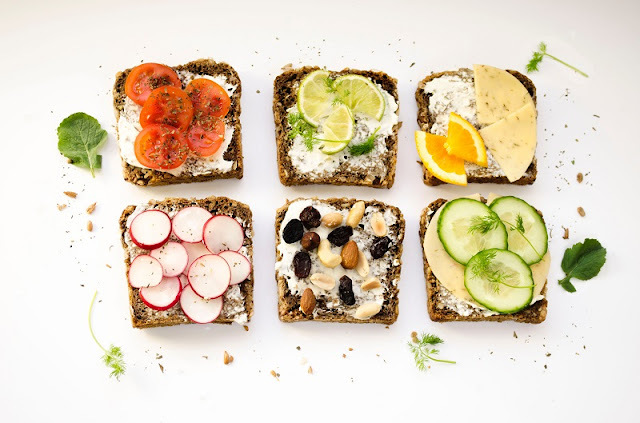 This Sunday evening sandwich recipe could perfectly well be done on holiday for the good reason that it is only the assembly kitchen and that it does not require any material or preliminary preparation. Just choose a smoked salmon of good quality (Red or organic label is much better). You can serve it for an aperitif or prepare several for a quick lunch. The tomato salad is the most practical salad when you are on a trip, and if it is also the tomato season it is one of the best recipes for travelling. It is ideal because it is basically simple and is one of those easy recipes when travelling. With tomatoes cut into quarters, a bit of salt and seasoning, a drizzle of oil, the one that falls under the hand, vinegar and the toughest stains are now behind us. After all, everything is about pleasure and opportunities! Here, some peaches and herbs are not far away. Besides many other associations are possible. Fruits like vegetables can be married perfectly with the tomato! In addition, the beautiful red is present almost in all countries, so do not hesitate! This gourmet road trip food is a delicious and original starter, for lunch and dinner! You just need black olives, hummus, bread and green pepper. Spread the hummus over the bread then add the green pepper and olives previously pitted. Dare a pinch of thyme on the urge you said. This picnic food for the car can be enjoyed as a starter, but also as a meal on the run. You will only need three ingredients: canned tomatoes, peppers and eggplants. You cook everything together and you end up with this succulent dish! Energy bars are the perfect snack for travelling in train or car, and this healthy variant will give you all the energy you need to continue your city tour or mountain hike. You will need cranberries, dates and fines. First place the cranberries and dates in the blender, and then add the fines. After mixing, place in a large dish, then in the refrigerator or on the edge of a window for ¾ hour. All you have to do is enjoy your energy bars. It's fast and tasty and is one of the best meals for traveling in the car! This dish requires few utensils and preparation time. In other words, it is perfect when your priority is not to cook, when you are traveling for example? You will need a large zucchini, an egg, 1/2 tablespoon of flour, two cloves of garlic, a little parsley and dill. Chop garlic and herbs and mix them with the egg in a bowl. Stir everything gently. Grate the zucchini and add the result to the mixture. Add the flour and stir until smooth. Preheat a saucepan, add a little vegetable oil and add a tablespoon of the zucchini mixture. Fry everything until it is golden brown. You have your first donut! Repeat until the bowl is empty. We are here for you with interesting facts regarding strangest natural places on earth. The new stories with a mysterious theme. Thus they have turned our lives to a different angle. These mysterious stories would take you to the place itself. You will enjoy feeling your presence there. Here are some best mysterious places in the world. This region is the part of the busiest shipping routes in the world. Many ships and planes disappeared in this strange region over the centuries. In the 20th century, the mysterious behavior of the Bermuda Triangle came into the attention of the public. In October 2015, a ship of a cargo vessel disappeared after sinking in the Bermuda Triangle. The Nazca area is made up of strange lines which lie between the Pacific coast of Southern Peru and the Andean foothills. These peculiar lines are in the form of animals and birds. These mysterious lines was named as Nazca lines, and these lines are still a mystery. Some of the theories explain that these lines and drawings was made by hidden extraterrestrial beings like Aliens. Some of the arguments demonstrate that the Peruvian desert was used as an Astro port by spacecraft thousands of years ago. These lines give a picture of some science fiction novel. This region has not experienced rain for ten thousand years in addition to the incomprehensible lines, but there is a scientific reason behind the rain. The Peru government has taken steps to avoid spoiling these Nazca lines. Walking and driving over the place is banned except by special permission. The tourists can see the enigma through the roadside observation tower. Shree Padmanabhaswamy temple is a tall temple in the capital of Kerala, and the mother of all supernatural sites. This gold plated glory is one of the 108 Divya Desams, the principal centers of worship of Vaishnava religion, for followers of Vishnu. For a long time, this temple was controlled by a Trust headed by Travancore royal family which later was divested by Supreme Court of India. The secrets doors of the temple is made of iron and its wealth is more than the GDP of some countries. There is vault B which is also known as Bharatakkon Kallara which remains unopened. The mystery of Vault B is an accurate example of some things that cannot get solved. It has deep rooted belief that Devas and Sages got devoted to Balarama who resides in Kallara B. There is a snake on the Vault B which indicates the danger to whosoever will open it. Around 100 years ago, the chamber authorities of the temple tried to open the door, and they heard the sounds of gushing ocean waves behind the door. The mystery of Ram Setu Floating Stone of Rameshawaram is still going on for many years. Though scientists have validated the magic of these loose stones, even then people do not believe this explanation. The discussions over the loose rock have to led to various discoveries. According to scientists, this floating stone bridge is a natural bridge which was formed by limestones, but Hindu mythology says that this bridge was made by Lord Rama and his Vanara Sena. This bridge was walkable until 1480 AD. However, according to scientific studies, there are some volcanic rocks which float in the water. According to science, these loose stones can be the pumice stones because these stones can float in the water. These pumice stones is made up of a hardened form of lava which comes out when a volcanic eruption takes place. Some of these stones are found on the coastal site of Rameswaram. These stones may look like they are made up of corals. When everything was examined, it was found that these stones were neither a coral not were they floating pumice stones. Easter Island is an island that has always been on the list of top most attractive places of the world. Eastern Island's huge stone figures have beguiled the researchers, explorers and the broader world for centuries. According to experts, they have cracked one of the biggest mysteries. Easter Island has more than 300 megalithic platforms. It is believed that first of these platforms was constructed in the 13th century. Many of these statues are around the coast. 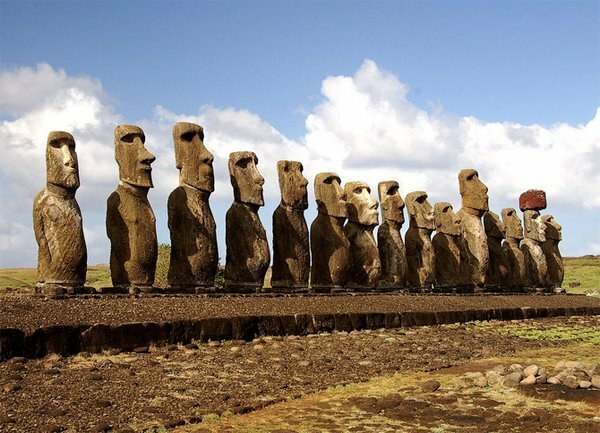 Scholars did not find anything to explain the purpose of the Moai statues. It is believed that the carved stones and the wooden objects have magical essence according to ancient Polynesians. This essence is known as Mana when they are correctly formulated. The location of the fresh water is the most substantial component for determining the position of Ahu and Moai. Scientists have tried a lot for centuries to solve the mystery of how the giant stone of Easter Island statues got moved. Moreover, now there is a new theory behind it. According to the new approach, the figures that are known as Moai was engineered to run in the upright in a rocking motion. The rocks was moved by humans with the help of ropes. Well, these mysterious stories have turned us to think exceptionally about these places. Now visit these places to know more mysterious stories about these searches. We would prefer greeting the most respected men in our life such as the beloved father, colleague, boss or teacher on special occasions. The most effective way to convey the affection and express the gratitude for their tremendous support in different walks of our lives would be sending most appropriate gifts. Most of the men travel as a part of their profession or even as a passion to explore different places. If we could gift them something useful for their trips, the gift ideas would be admired by the men for sure. The frequent travelers require something handy and reliable to light fire or even for a small lamp that would help them to perform various activities for camping. This stylish and durable lighter can be one of the most useful and memorable gift ideas for men.The receiving gentleman would be happy to receive this on any special gift and can retain in the travel kit to use during the trips. Usually, the luggage tags are used to identify the baggage during the trips. This luggage tag has a unique feature. The face of the receiving man would be printed on one side of the luggage tag and the other side would have the space to write down the contact details. The face would make the tag and the bag to which the tag is attached totally unique. This can be among the personalized gifts for travel lovers. 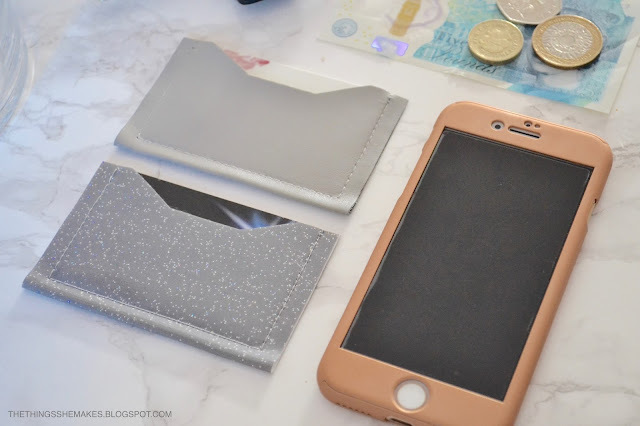 The passport would be the most important belonging to be carried during the overseas trips. This passport holder is printed with the meaningful image and message showcasing the airplane and specifying the ideal mode of handheld devices such as the smartphone or tab. This can be used to retain the passport securely. This desk calendar is printed with the images of most acclaimed classic cars of different world-renowned brands. This can be a great gift to the man who is passionate to collect antiques and also to travel places driving through the exotic cars that would define his status. This laptop backpack can be easily carried on the back and has several compartments to carry different belongings including a dedicated compartment to carry the laptop securely. This would allow the travel-loving men to carry their work and passion along, during their every trip. When choosing a travel tea set, look at whether its model is suitable for you to use. You should also pay attention to what kind of material is used, so that the original taste of the tea is maintained. California is a great state for RVing. While most people think of California as a beach state, it is actually one of those rare states that has everything. Major cities, deserts, redwood forests, beaches, mountains, and several major national parks are all here. The diversity available within a day or two's drive for any RVer is hard to match anywhere else in the US. Here we will look at some popular destinations within California and some RV parks to stay at along the way. If you are coming from outside the state there are a few general things to note. First, all major routes into the state have agricultural checkpoints you have to pass through. There are specific things they are looking for which you are not allowed to bring into the state with you. See this site for more details. Also, California has a 55-mph maximum speed limit for any vehicle towing a trailer so traveling within the state may be slower then you, or your GPS, would expect. Finally, California is noted for its terrible traffic. This is true in the major coastal urban areas. If you do need to venture through the congested areas, weekends are best and early mornings on the weekends are better. California has some incredible hiking routes in USA. Between Lambert Dome in Yosemite or Eagle Lake or Ewoldsen Trail in Big Sur or Kelso Dunes in Mojave National Preserve, you could spend months hiking your way up the coast along Sacramento and Lake Tahoe. You can spend one day up in the mountains, skiing down the snowy slopes and the next enjoying a wine tasting in Napa Valley. Or maybe you have a family that wants to visit Disneyland but it is quite the trek over to the golden state or swim in the Pacific in day trips from San Diego. For vacations from San Diego, Encinitas is not only a city, but a vibes north of downtown San Diego and is known as one of the best places to surf in the world. Highway 101, the main coastal road, is permanently dotted with neoprene suits and boards. Some of the best places to try out their skills include Cardiff Reef, designated by its famous Kook statue, and Moonlight Beach, which has places for beach bonfires, volleyball nets and playgrounds for children. Burritos (and their variety for breakfast, lunch or dinner) are part of the most popular meal, and all residents have their own opinion on who prepares them best. Relax in legendary refuges like the Hotel del Coronado, find art and culture in the city of San Diego and in the surrounding areas, like the luxurious La Jolla, have fun playing international golf in Torrey Pines, and enjoy the culture and diversity, all on the shores of a resplendent blue ocean such as SeaWorld San Diego Park, San Diego Zoo, San Diego Zoo Safari Park and Legoland California..
Having an RV not only allows you to get from place to place but after a long day of climbing and hiking, there is nothing better than coming home, kicking your shoes off, taking a hot shower, and relaxing on the couch. Also note that traveling across the coastal or Sierra Nevada Mountains can be winding in an RV. Choose your routes through those areas carefully. If you don't already own an RV, your biggest cost that you are going to come across is the motorhome or trailer that you decide to rent or buy. California has so many different spots to see. You can spend your days down south and explore the deserts of Joshua Tree. You can head up north and get lost in the mountains of Yosemite or stop by San Francisco. You can find lava tunnels, 5,000-year old trees, and cacti double the size of you. With a wide variety of landscapes, California is truly paradise for RVers. In fact, it is almost too hard to narrow down the best spots to RV in the golden state. So why should you consider it for your next big adventure? Are you a free spirit who wants to spend their days on the road but also wants to explore the mountains in California? The only probable difficulty with choosing California as your next big hiking trip in US is deciding where to go and what to see in Big Sur in California, Palm Springs, Joshua Tree, San Francisco, Sacramento, Yosemite, Lake Tahoe. There are so many options that your head might start to spin just thinking about it. Well, RVing gives you the chance to visit them all. All you have to do is pack up your gear and hit the road. 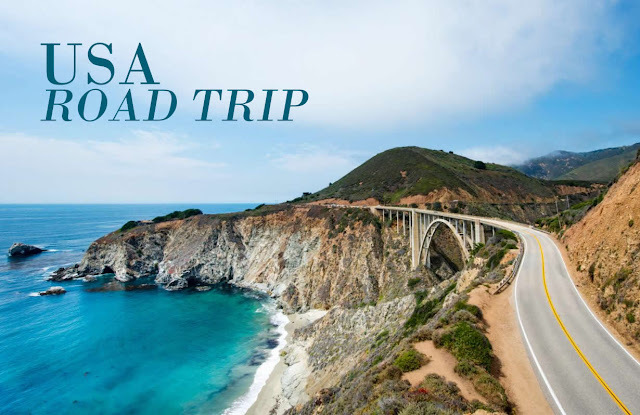 Maybe it’s always been your life goal to take the PCH all the way up the California coast. This gives you the chance to do so all while still feeling at home. It's like coming home while still being on vacation. Renting an RV can be surprisingly affordable when you factor in the convenience of having a home on wheels. Traveling by RV is much cheaper than a hotel or other accommodations in California. Plus, you have the freedom to get up and go as you please. Starting in the north is the Redwoods National Park area. Unlike most national parks, this area consists of state and national park land which is spread out over two zones separated by about 50 miles. The Northern District is just outside Crescent City at the junction of US 101 and US 199. US 199 runs from Grants Pass, OR to Crescent City, CA and passes through the heart of this part of the park. With steep grades and sharp blind turns, RVing this road can be slow and steady but extremely scenic. If you take your time and use the turnouts to allow slower traffic to pass it can be quite a rewarding trip. Access to the area by US 101 is easy. The south district is just south of Klamath, making it a great central spot to camp while visiting both districts. There are several RV parks there right along US 101. Chinook RV Resort and Klamath Camper Corral are 2 good choices in the area. Before heading there, stock up on essential supplies. There is a convenience store in town for basic necessities but the closest real grocery store is 30 miles away on Crescent city. In the north central region is Lake Shasta, Mount Shasta and Lassen Volcanic National Park. This is an incredible area to visit with many great activities to do. US 5 is the major route that runs through the area and it makes access an easy drive from the north or south. In the Shasta Lake area consider staying at Mountain Gate RV Park and Cottages. This highly rated park provides the wilderness feel with great proximity to the Lake Shasta, Redding, CA, Mount Shasta and Lassen Volcanic National Park. Further south, in Red Bluff, the Durango RV resort offers an outstanding place to stay at very reasonable rates. This park has a less rural feel with a huge pool area and fountains you can back up to. It offers a good home base to visit Lassen Volcanic National park or other attractions in the area. Next is the East Bay area. North of here is wine country, west is San Francisco, south is the San Joaquin Valley and West is Yosemite National Park. 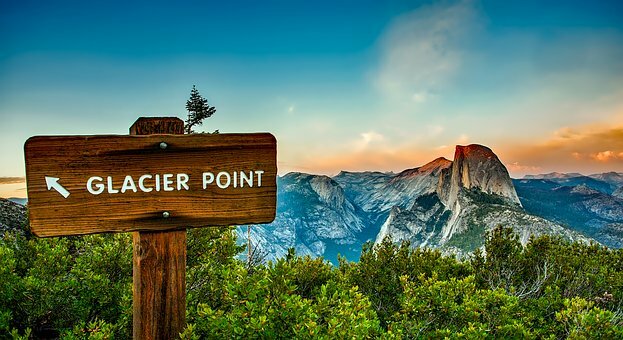 Yosemite National Park ranks among the top of the list of national parks in USA. A visit to California's Yosemite National Park is an experience with nature at its most powerful and stunning best. Immense falling cascades meet mammoth sequoia trees and wildlife. With its hanging valleys, innumerable waterfalls, circus lakes, polished domes, moraines and U-valleys, Yosemite National Park, located in central California, shows all forms of granite relief molded by glaciations. In this area stop at Flag City RV Resort just off I-5 at Rt 12. This is an excellent RV resort from which day trips to Yosemite, San Francisco to see the Golden Gate Bridge and Napa Valley or Sonoma Valley can be done. San Francisco is known for the Golden Gate, Alcatraz Island, Twin Peaks or the trams that run the steep streets of the city. Among things to do on a weekend in San Francisco you can visit some of its most unique neighborhoods such as Chinatown, Japantown, Haight area or Ashbury (cradle of the hippie movement). While visiting the most instagrammable places in San Francisco, everyone finds their place. If you want to stay local, there are some great wineries in the area (Michael David Winery is wonderful and just a mile east on RT 12), and downtown Lodi is a great small town to visit. South of San Francisco, Half Moon Bay is located. Sequoia and Kings Canyon National Park is in the south eastern part of the state. To visit the parks in your RV, avoid the south west entrance via RT 198. You will be able to get into the park, but getting to the higher elevations where the redwood groves are requires traveling up a steep curvy grade with significant vehicle size restrictions. The north west entrance via RT 180 is much more RV friendly. If you want to park your RV outside the park and travel in by car then there are several parks in Three Rivers, CA which are all great choices. The Big Sur area is a considered one of the most beautiful coastal areas of California. It is one of the few completely undeveloped areas left between Los Angeles and San Francisco. Fernwood Resort and Riverside Campground and Cabins are both located right off CA 1 in the heart of the area. Both are fantastic campgrounds and make great basecamps for visiting this area. Joshua Tree National Park is located in the far south portion of the state, bordering I-10 just north of the Palm Springs area. Twenty Nine Palms Resort and Joshua Tree Lake RV & Campground are both great choices to stay near the park's northern entrances. To get the benefits of the Palm Springs area consider setting up camp at Catalina Spa RV Resort and Campground in Desert Hot Springs. This is one of the few family friendly RV resorts in the area and it provides excellent access to Joshua Tree National Park and everything the Palm Springs area has to offer. It is a city located in the state of California, just over 30 minutes from downtown Los Angeles. The coastal town is famous for its dock with its small stores, restaurants and an amusement park, the Pacific Park, famous because it has appeared in many Hollywood films. The city is bathed by the Pacific Ocean. Do not forget to climb your Ferris wheel, as it is one of the most famous in the world and from the top you will enjoy views of the Pacific Ocean and Los Angeles. If you are a beach lover you have the option of getting close to Muscle Beach, one of the best beaches in Santa Monica. Going to the Santa Monica pier is an obligation, since it is one of the best known places in the district. Being a pier made of wood, it manages to create a bucolic and romantic atmosphere, ideal to enjoy a pleasant walk during sunset. Best of all, when the night comes, the amusement park begins to turn on its lights, since the view from the dock is priceless. Another of the star beaches of the city is Venice Beach. This beach is perfect for sunbathing and a good dip, as well as being a beach visited by surf lovers. But the charm of this beach goes much further, its main charm lies in its bohemian artists and street shows. There are many more great places in California to visit. This list provides some basic ideas that you can use to plan anything from a weekend getaway to a cross state journey. Regardless, California is a beautiful state to visit with something for everyone that every RVer should get out and experience. The other major benefit is that you can fully stock your kitchen and pack all your favorite food. From snacks and treats to a full-blown gourmet meal, taking an RV allows you to eat what you want. You can also save money by grabbing groceries before you go instead of having to eat at expensive tourist restaurants and cafes. California has a little bit of everything. There is something for absolutely everyone. Whether you want to travel with your best friends or you want to hike in Yosemite up mountains with your loved one, taking an RV makes it easy, affordable, and great for every single person, no matter what age. Goa never fails to make an impression in your mind. Goa does seem a popular destination for all the teenagers in the country, however, it has a lot more to offer than shacks, cheap alcohol and bikini babes. Are you searching for a holiday villa in Goa? There are a number of options available for tourists all-round the year. With so many options to choose from, making the final decision may be tough. Goa is the hub of entertainment and parties in India for the youth and party-animals with the easy availability of ecstasy and alcohol. The smallest state has the most to offer to tourists when they engulf their tour in this fantastic land of fantasy. The tagline of Goa tourism reads, A 365 Day Holiday, and they are right. Goa is never boring as this state has it all from historic monuments to fancy beaches. This is really important. It will help you know how the company has fared among its past customers. With access to the world of internet, it has become easier to find out testimonials and reviews in TripAdvisor. Many accommodation providers in Goa allow placing of reviews on their website. Make sure you check these out carefully. Look for customer satisfaction rate. The villa should hold experience of decent number of years of experience. It is very helpful to check clear pictures of rooms and know the number of beds available. You can book the villa once you go through the property. Before booking a villa, you should check carefully all of the reservation policies. Make sure you are fully aware of the cancellation policy. Get information on the requirement of refundable deposit, check in and check out policy, and everything that comes to your mind. You vacation may get spoiled if the distance of villa is very far from major landmarks and beach. Make sure you are aware of the exact location of the villa before booking. Also check out nearby amenities. Famous beaches like Calangute, Baga, Anjuna, Vagator, Candolim are all located in North Goa. South Goa is one the most popular destinations for weddings in India with the majority of 5-star hotels situated along the coastline with their private beaches. The beautiful serene gives a picture-perfect site for any bride’s dream wedding. The Colva beach is very close to Margao, about 8 kilometers away and 40 kilometers from Panjim, so you can take a rickshaw car or a taxi to get to the beach. The nearest airport is Dabolim Airport in Vasco de Gama. Look for seasonal and other discounts before booking cheap villas in Goa. The rent should not exceed your budget. Checking this out will help you plan out the trip in a better way. You must always call or email to the villa representative prior to making payment. Make sure all details are in writing for your future reference. Use the official number listed on the website to make call. Check with the staff if what you need in the villa is available. Ask about any additional charges, what is included in the price, the distance of villa from the beach, restaurants and supermarket. Whether the villa has a family-friendly, couple friendly, animal friendly, baby friendly environment. Whether the villa has a private pool, security of villa, facilities for cooking, availability of chef? What is the distance from airport or station, pickup options, internet access, parking space, and drinking water access. 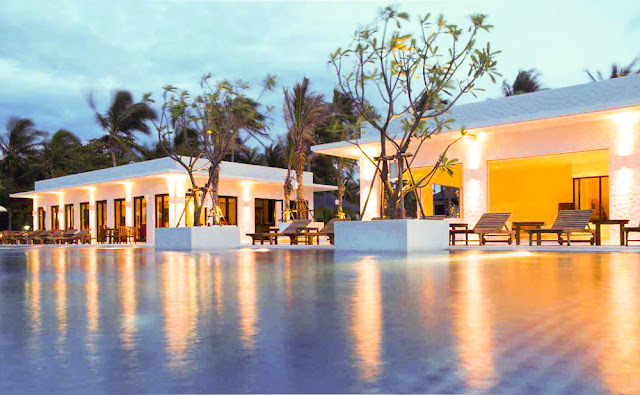 There are a number of ways you can pay to book luxury villas in Goa. Many agents may ask for a non-refundable deposit. It is around 25% in most cases. The balance can be paid later or even directly on entry into the villa. For others, you can book a holiday home without giving an advance payment. For such deals, you can check by phone and confirm reservation. There are some companies that ask for payments to be made directly to the bank account, card, PayPal, or Western Union. Since there are charges for paying directly to the bank from another nation, hence it is wise to use a debit or credit card. PayPal payment is also safe, fast and quick. The payment should traceable. You must always insist on payment confirmation. Do not go ahead with a deal if you are asked to do instant money transfer through Western Union or Cash. Payments done as instant money transfer cannot be traced in a fraud. You may also go for websites offering info on holiday rental websites. Keeping the above tips in mind will help you to book the best villa for Goa holidays. Kedarnath and Badrinath are beautiful religious destinations. There are many sightseeing locations on the way to Kedarnath and Badrinath. It has beautiful waterfalls, religious places, parks and great mountains to explore. The travelers can spend their leisure time and make the most of their time while visiting these nearby areas. Below are some of the places to visit on the way to Kedarnath and Badrinath. Pandukeshwar is a sacred place located on way to Badrinath. The distance from Badrinath is 22.6 km which approximately takes 30-40 mins. It is dedicated to Lord Vishnu as it is believed that King Pandu, father of five Pandavas worshipped Lord Shiva. Yogadhyan Badri temple and Lord Vasudev temple are two of the most famous temples of this region. This is a hot water spring which is located between Badrinath shrine and Alaknanda river. It has a temperature of 45 degrees. The water gets collected in a concrete store tank which comes from the group Silha. The name Tapta Kund itself indicates hot spring. The Neelkantha Peak is located in Chamoli district of Uttarakhand over Alaknanda valley and the town of Badrinath, with Satopanth glacier on the northwest side. It is known as the second beauty to Himachal. This is a sacred and holy town of Badrinath located on Alaknanda river. It is only 0.4 km away from Badrinath. People visiting Badrinath often visits this location. It is in this very destination where Adi Shankara discovered the idol of Lord Vishnu. This cave is a very prominent attraction of Badrinath. It is not very far and only 4 km away from Badrinath. The mysterious caves are built naturally which attracts the tourists more to discover its beauty. this place holds a religious significance which changes a person spiritually from within. This is located near the Vyas Cave, which is another attraction of this location. This is an ancient cave located in the Mana village of Chamoli district in Uttarakhand. A mythological belief attached with this place is that sage Vyas composed the Mahabharata epic with Ganesha here. It is known as Panch Dhara of Badrinath as five rivers originate from here. The five rivers are Prahlad Dhara, Kurma Dhara, Bhrigu Dhara, Urvashi Dhara and Indira Dhara. Indira dhara is most popular amongst the five. Each river has its own beauty which joins together and adds to the beauty of this place. Satopanth Tal is a triangular lake with crystal clear green water. It is located at an elevation of 4600 meters above sea level. This place is one of the popular treks of Uttarakhand. it offers a majestic view of the beauty of Himalaya. With this tour you will visit some of the most famous religious sites and offers a varied variety of mammals to be admired. Kalindi Khal Pass is known for being one of the most famous hikes in the Garhwal region of the Himalayas, but also one of the the most difficult. It is ideal for experienced hikers in excellent physical shape. The expedition to high altitude begins in Gangotri and ends in Badrinath, where it is reached through Kalindikhal. Boulders, rocky outcrops, glaciers and snow make the trek challenging. During the trek you can stop at Tapovan (4250 m), Nandanvan (4500 m), Vasuki Tal (5300 m), Kalindi (5590 m), Kalindikhal (5948 m), Arwa Tal (3980 m) and Gashtoli (3600 m). The upper part of this route offers the opportunity to visit half of the Garhwal region, from the Bhagirathi river valley to the Alaknanda river valley. You can also see snowy peaks such as Shivling, Satopanth, Vasuki, Chandra Parvat and Bhagirathi. Vasundhara falls is one of the enchanting beauty of Badrinath. It is located at a height of 400 feet about 120 meters above sea level. It is located in an isolated, remote area but the waterfalls add an ambiance and beauty to the area. It is believed that the waterfalls can be only savored by those who have clean, pure soul restraint of guilt. This beautiful national park is located in the Garhwal region of Uttarakhand. 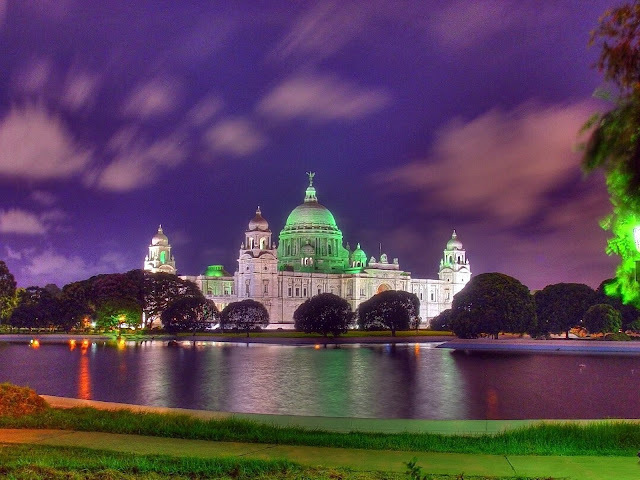 It is a part of the UNESCO World Heritage site. It was discovered by Frank S Smythe. People from all around the globe come and visit this area of magnificent beauty. All the nature lovers and botanists can find rare beauty in this location which makes it renowned globally. Joshimath is located on the slope of the confluence of the Alaknanda and Dhauliganga rivers in Uttarakhand. Get mesmerized with natures splendor while trekking in Valley of Flowers that is located in the Nanda Devi Biosphere. The magic begins in the journey itself with calm lakes, quiet villages, gentle streams and dense forests on the way. Imagine exploring the most magnificent wildflower cover you could ever think of. Get to appreciate the beauty of 300 species of wildflowers that also include 45 species of medicinal plants. And, consider yourself lucky if you get to spot the rarely seen tahr or Himalayan black bear. Near the Valley of Flowers is the sacred Hemkund lake. Lord Curzon's greatest discovery, Kuari Pass in Uttarakhand is one of the best places to walk in December. The walk starts from Joshimath, which is a center developed for hikers and pilgrims. See the breathtaking views of the towering peaks of the Himalayas and the confluences of the buzzing of the rivers. Walk through the luxurious meadows of the Himalayas called Bugyals and the green forests of Oak and Deodar where you can even find the marks of a leopard or the Black Bear Himalayas. Trek from Tali to Khulara (3,395m) through the Kuari pass, lasting five to six hours. The road climbs a ridge above Tali. From these hills the path leads through a large meadow with spectacular views of the Himalayas. Looking north, the view extends from the Trishul Gorges in the east to the Kedarnath peaks in the west. North of Joshimath, the chain of Chaukhamba peaks, Nilkanth (6,596 m) and Narayan Parbat (5,965 m), Mana (7,272 m), Kamet (7,756 m) and Abi Gamin (7,355 m) extend to the Tibetan border. First the main chain of the Himalayas in the vicinity of the Bhyundar Valley and Kund Hem includes Nilgiri Parbat (6,474 m), Rataban (6,166 m), Ghori Parbat (6,708 m) and Hathi Parbat (6,727 m). Dunagairi (7,066 m) dominates the summits to the north of the Nanda Devi Sanctuary. March to the Kuari pass, around 4,000 m, an emblematic point between steep valleys and surrounded by sacred snow-capped peaks. Camp in Khulara. The most enthusiastic have the option of walking three hours to the Pangarchulla Peak, to catch a glimpse of the sunrise on the snowy peaks. Hugh Ruttledge, the famous English mountaineer, could not conquer this. After his second attempt, he became carefree and said that even getting an entry to the Nanda Devi National Park is a more difficult task than reaching the North Pole. Now, if you are a game for this appointment with the Himalayas, this is for you. The trek starts from the village of Lata near Joshimath, from where you should take the ridge towards the camp at Lata Kharak. From here, you will see the peaks of Trishul, Nanda Ghunti, Dronagiri, Hathi Parbat, Kagbhusandi Tal, lake full of mystery that can leave you stunned and Gauri Parbat. If you go to Semi Kharak the next day, do not forget to capture the throat of the Rishi Ganga River with your camera. Make a tent here for a quiet and windy afternoon. The next day, go early to Jhandi Dhar, one of the steepest stretches. A really difficult stretch of 500 meters. Part of the town of Tolma, just to grant you a beautiful and unforgettable view of Nanda Devi. You need about 3 days for this walk. Located south of Nanda Kot hill on the eastern side of the Pindar canyon, Kafni glacier is blessed with a pleasant and peaceful environment that has become popular with travelers. The places also have a spectacular flora and exotic fauna. The glacier road covers the same trek to Dwali, as the trekking to the Pindari glacier. The Kafni Glacier is 12 km from Dwali via Byali Udiyar. The road is wide and covered by rhododendron trees in bloom. The main peaks of the Himalayas visible from here are Nandabhnar (6236 m) and Nandakot (6860 m). After Dwali, it is only possible to camp. Between Nanda Devi Peak and Nanda Kot Peak, the Pindari Glacier is one of the most popular attractions in Uttarakhand, located in the upper Himalayas of Kumaon. Known as the soul of Kumaon by the locals, it has magnificent glaciers, gushing rivers, colorful flowers, waterfalls, dense forests and immense natural beauty. An unmissable site for passionate photographers, nature lovers and adventurers, this glacier tour takes you through unknown towns and Dev Bhoomi sites known for their mythological connections. Admire the solid wooden decks where you can treat your eyes to the green surroundings while enjoying your summer vacation in Uttarakhand. Near is the famous Kafni glacier trek route. This glacier is popular with beginners and expert hikers. Do not forget to interact with the friendly locals. Located in the snow-capped mountains, the Panchachuli base camp begins in the Darma Valley in the Pithoragarh district. With stunning natural views, the path to the Panchchuli glacier in the Kumaon Himalayas is adorned with snow-capped peaks, diverse flora and fauna, flowing rivers, alpine meadows and attractive landscapes. Located along the Dhauliganga River, the trekking route, located in the east of the Kumaon Himalayas, is like a link between the Darma Valley and the Gori Ganga Valley. Dar is the last road that is about 42 km from Dharchula. The walk to the glacier is pleasant. 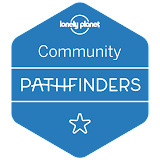 The walk takes you through tribal villages such as Sela, Bongling, Duktu, Nagling, Baaling and Duktu which are next to the Dhauliganga River and dense forests of Himalayan cedar, Bhojpatra and conifers. The 5 snow-capped mountains of Panchachuli offer an impressive spectacle and embellish Him Khand, the Yuli River surrounded by the lush forests of Deodaar and the coniferous trees. The scenic beauty during the entire trip is unparalleled. If you're hiking in India, the Roopkund trek is a must with its deep virgin forests, bubbling streams, breathtaking campsites, miles of rolling meadows, snow and ice, and the taste of a great adventure climbing from 8,000 feet to 16,000 feet. This place is close to the famous hill stations like Nainital and Kathgodam. This hike begins in Lohajung, following one ascent after the other until Ran ki Dhar, then to Bhagwa Basa and finally to Roopkund. Roopkund is a beautiful and attractive tourist destination at the base of two peaks of the Himalayas which are Trishul and Nanda Ghunti. Roopkund Lake is also known as the Mystery Lake or Skeleton Lake and is a glacial lake located in the Chamoli district in Garhwal. The radiocarbon dating suggests that the skeletons buried there have been almost 800 years in that place, when a large group of people died in a hail. With a depth of only two meters, human remains can be seen at the bottom of the lake when the snow melts. This mystery has attracted so much attention that the National Geographic decided to present it in a documentary. This place is best during the summers as Roopkund remains covered in snow throughout the year. One can also enjoy the Nanda Devi Raj Jat ​​Yatra here. Although any time of year is good to be chosen to try Roopkund trek but if you like snow and challenging walks then May and June are perfect and if you want to see the mysterious skeletons then you can opt for September or October. Every year, at the end of April, the twin villages of Saloor-Dungra celebrate the Ramman, a religious festival in honor of the local tutelary divinity, Bhumiyal Devta, in whose temple most festivities are celebrated. The lake is located on the route to the pilgrimage site of Nanda Devi Temple through Karnaprayag, one of the 5 confluences of the Alaknanda River. Travel to Srinagar and visit Vishnuprayag, Nandaprayag and Rudraprayag. Trekking to Lake Roopkund takes about seven and nine days where hikers cross religious sites, lush forests, waterfall streams, clean snow and summits of Trisul. The trek is known for having challenging terrain with oak-filled forests near Wan village and crossing the alpine meadows of Ali Bugyal and Bedni Bugyal meadows and beautiful snow-covered peaks. Pathar Nachuni is located at the foot of a mountain, at the top of which lies the Kalu Vinayak temple. To get to Patar Nachuni from Bedni Bugyal, you will have to travel a distance of 4 to 5 kilometers in about 4 hours. It's a relatively simple walk. After the initial climb, there is a gradual climb followed by a gentle descent all the way to Pathar Nachuni, following the path until you reach Bhagwabasa, passing by the Kalu Vinayak temple which is at an altitude of 14,550 feet. It is a vertical zigzag ascent that takes 3 hours to reach the Kalu Vinayak temple, followed by a 2-hour descent to the Bhagwabhasa region. Roopkund is only 3 kilometers from the Bhagwabasa camp and climbing it takes about 3 hours. Even in the summer, this entire stretch is covered in snow. Make a short stop at Ghairoli Patal, which is also a camping area. Descend to the bottom of the valley to find the Neel Ganga river. It may be a good idea to cool off for a while in the river waters after an arduous downhill hike. From the river, there is only one uphill walk until you reach the village of Wan. Kedartal is a glacial lake located at an altitude of 4,750 m in the Garhwal Himalayan region. The lake is fed by falling snow on Thalay Sagar, Meru Peak, Bhrigupanth and other surrounding peaks, and is the source of Kedar Ganga, which in mythology is considered the contribution of Bhagirathi to a source of the current of Ganges. Kedartal, at a distance of 17 km from Gangotri is a popular hiking destination. Starting at Gangotri the route involves a steep rocky climb along the narrow Kedar Ganga Gorge on the way to Bhojkharak, 8 km away. From there it is 4 km to the camping site next to Kedarkharak, and a further 5km to Kedartal. The route passes through picturesque birch forests of the Himalayas, but is through dangerous places of falling rocks, heights and segments of steep ascent. Gangotri is considered the birthplace of the River Ganges, although the Bhagirathi River will not be called Ganga until Devprayag, where it joins with another sacred river, the Alaknanda River. The origin of the river is in Gaumukh, at the base of the Gangotri glacier, 19 km upstream from the Gangotri temple. The source of the first drops of water from the Ganges River is located in the Gomukh Glacier, in the Garhwal Mountains within the Gangotri National Park. Kedarnath, Badrinath, Yamunotri and Gangotri, is the name of the four sacred temples found within the National Park. Experience striking sights of Mount Shivling and Bhagirathi group of mountains. In the Central Himalaya, this is one of the largest glaciers and also an awesome trek to view amazing peaks. The goal of this trek will be to ascend to this glacier to reach Tapovan. There is another new trek route leading to the Mukta Top. From Uttarkashi the road climbs in a dive on a curve and the roaring Bhagirathi always gives company. It took us three hours to get on another hard road to the town of Harsil, where we visited a temple and performed the ritual of bathing in the cold waters of the Ganges. Gangotri to Bhojbasa (3800 m) is an easy walk (13 km trek). Continue along the scenic trail that initially passes through a dense forest of cedars before emerging into the wide and deforested valley. Then it goes to a small isolated forest of pines. From Gaumukh, source of the Ganges, the scenery is fascinating. The trail crosses the Gangotri before reaching Tapovan and its beautiful fields, furrowed with currents and scattered flowers. From here panoramic view on Shivling (6540m), Meru (6660m) and the massifs of Bhagirathi (6500m) is impressive. Chirbasa is a beautiful place to camp, covered with dense forests. Covering five Shiva shrines in the enchanting Kedar Valley, the Panch Kedar trek offers an unforgettable experience, away from the chaos of the city. Ideal for planning a vacation in Uttarakhand, the trekking attracts both beginners and experienced trekking enthusiasts. The path is a wonderful mixture of serenity and beautiful landscape charm. The trip begins in Kalpeshwar, famous for its rock temple where the hair of Lord Shiva has appeared. Continue to Rudranath, known to be the place where Lord Shiva appeared. The Tungnath village, the central point of the trek, has the Tungnath temple, the highest temple of Shiva in the world. Then there is Madhya Maheshwar. Madhyamaheshwar or Madmaheshwar is the fourth temple to be visited on the Panch Kedar pilgrimage circuit, comprising five temples of Shiva in the Garhwal region. The other temples on the circuit are Kedarnath, Tungnath and Rudranath. The journey ends at Kedarnath, considered the most remote of the four Chota Char Dham yatra. It is one of the twelve Jyotirlingas, or sacred places of this deity. From Gaurikund, it is necessary to trek 1500 meters of unevenness and 14 km on foot until finally arriving at Kedarnath. Kedarnath is a really magical place. It is located in a beautiful valley at almost 3500 meters high, and right at the foot of the Kedar mountain range where the Kedar Dome is located, a summit of more than 7000 meters. The small village revolves around the Kedarnath temple dedicated to Shiva. Located at about 2,650 meters high is Chopta, in the Garhwal region. Chopta is located in the Rudraprayag district of Uttarakhand and is well known as a base point for a walk to Tunganath temple and further to Chandrashila peak. Ukhimath is located 31 KM from Chopta, where the deity of Kedarnath moves in winters. There are local temples of Usha and Anirudh, Shiva and Parvati. Chandrashila is the summit of the Tungnath. It literally means moon rock. It is located at an altitude of about 4,000 meters above sea level. This peak offers a spectacular view of the Himalayas, especially Nanda Devi, Trisul, Kedarkantha, Bandarpunch and Chaukhamba peaks. There are several legends associated with this place. The trip to Chandrashila through Chopta and Tungnath is a delightful experience thanks to the paths surrounded by forests, the beautiful flowers that open in full season, the lake Deoria Tal, the soft snow and the different bird species that fly over the region. Considered one of the easy treks in the Himalayas, this route can be visited throughout the year. Tungnath mountain range is always the starting point of the trip to the top of the Chandrashila, and in addition, it has the highest Shiva Temple in the world, located at 3,680 meters high. It is believed that Tungnath is more than 1,000 years old. Deoria Tal, at an altitude of 2438 meters, is a lake that offers hypnotizing reflections of the Chaukhamba Range in its crystal clear water. One needs to drive around 12 KMs to Sari Village of Ukhimath and from Sari Village one can reach Deoria Tal by a 2 KM walking route. Guptkashi is 13 KM from Ukhimath. The ancient temple of Vishwanath, the temple of Ardhnareshwar and Manikarnik Kund, where it is believed that the two streams of Ganga and Yamuna are found, are the main attractions in Guptkashi. From Ukhimath and Khirsu you can see spectacular views of the Himalayas. Panwali Kantha Trek in Uttarakhand is a remote path that is physically demanding due to its steep uphill climb. An exceptional and exceptional winter trip, Brahmatal Trek could be the best walk of your life. A good amount of snow and a beautiful lagoon located between the snow-capped mountains are enough reasons to go on this winter trip. The trails meander through lush forests and beautiful meadows, which will surely leave you breathless. The views offered by this walk will leave you speechless with amazement and delight. One of the most difficult trek in the Garhwal region, trekking to Auden unites two valleys, the valley and the Rudragaira Bhilangana valley. From Gangotri, the Patangani Dhar path leads to the Nala field, through birches and pine forests. Continue with a one-day walk to the base camp of Rudra Gaira, which offers beautiful views of the snow-capped peaks of the Himalayas. The next stop is at the base camp of Gangotri, from where the walk to the base camp of Auden's Col begins. The lonely road through the Mayali Pass at 5200 meters above sea level is a walk of life. The walk to the Khatling glacier is exhausting but it is worth the effort for the impressive view. The descending path begins after Masar Tal, Vasuki Tal, which ends in Kedarnath. The exciting experience makes it one of the best summer tours in Uttrakhand. Located at an altitude of 5,490 m, the Colle di Auden is one of the high-altitude mountain passes of the Garhwal Himalayas. Taking your walk is really a fascinating experience. Adore views of the Rudragaira, Jogin, Bhagirathi and Kedar Dome peaks. Walk to the humble abode of Nag Devta. Humming with a rich diversity of birds and animals, Nag Tibba Trek is a visual gift for hikers for the first time. Be a spectator of the splendid views of Chanabang and Doon Valley and the great peaks of Gangotri. Enjoy views of Kedarth Peak, Bandarpoonch Peak, Changbang Peak and Gangotri Peak. It is a circular walk that at no point overlaps the road. Therefore, enjoy a lot of delectable nature scenes. Another great thing about this trip is its exquisite camping. There are four routes to the Nag Tibba peak, the Pantwari village street is the most popular. The other routes are from the village of Devalsari, from the village of Antar and from Mangalori. Hikers should be very careful and cover the route during the day in order to avoid encountering bears. The Dodital Dayara Bugyal trek is one of the most incredible trekking routes in Uttarakhand, where you can even ski in the winter season. The path goes through the wonderful Barsu and Barnala Bugyal, after which you climb the Barnala ridge where you can savor the panorama of Lake Barnala. Now, climb through the dense alpine forest, taking you to Dayara meadows. Continue the road to Nimdhar, ending it, on the incredible Dodital Lake, surrounded by dense forests of pines, oaks and Deodar. The beautiful view of the Himalayas from one of the best trekking places in India is waiting for you. Lake Dodital is known for the birthplace of Ganesha. The route can start from Uttarkashi, Hanuman Chatti or Kalyani. The Saptarishi Kund is high above the temple, a glacial lake in Kalindi Parvat. The ascent is more than 1,000 vertical meters and is not easy to access. In the crystal clear waters of the lake, find the reflection of the Chaukambha and Neelkanth peaks. The Selku festival is an agricultural celebration that takes place in the Dharali village. It is a set of ancestral rites that have more to do with the paganism of the Himalayan peoples than anything else. Its calendar is lunar, so the beginning coincides with the full Moon. Like all peoples and cultures, the fascination with fire is present. The night of the beginning of the party is all followed by games with firebrands, torches and mallets of firewood, where the young people of the town and the region, demonstrate their skills and courage in the manipulation of fire. Later they dance around the fire, in a very communal link. The main object of the celebration will be observed quickly. It is a strange totem covered with silks and beads, which dances from the hand of men (only them) in another strange and ritual dance. Cruising was never on my bucket list as I feel lost when I see open sea. I have slight signs of aquaphobia. But my kids and husband were so determined to spend this vacation on the cruise that I have to accommodate my fear in our backpack and join the band. During our exploration, we rested our case with Singapore cruise. The reason why we choose to plan our next vacation on the luxurious and illustrious boats sailing on the Bay of Bengal and the Andaman Sea was vivid to us. We look it through the magnifying glass of the budget, comfortability and value for money. Let me share you the reasons why we chose Singapore Cruise Tour package. The first thought that landed in our mind was which country should we go. The unanimous answer of the family was Singapore as it holds excitement and fun for everyone. The Universal studio, Marina Bay, the monastery, the underwater world was able to capture all our attention and was calling us. The Singapore Cruises are one of the most comfortable and luxurious stays in the soul of the Pacific ocean. I could not buy the thought until I experience it. And the day arrived. I was on the Dream Cruise and spend my best 7 days of life on the beautiful and massive voyage. 1. The illustrious lifestyle: I was spellbound as soon as I enter the massive yacht. The 18 deck cruise had all the amenities to keep you totally engaged for the next 8 days. There was the spa, swimming pool, library, cafe, restaurant, everything you can think of being there on the waves. I was mesmerised and blown away with the grandeur interiors and the architect of the cruise. 2. The Jovial and alert staff: The staff assisting us were from different culture and backgrounds, but the harmony they showed in their services, their acts, their presentation was what made it impressive. In the ship with more than 1000 people sailing together and 18 decks, there was no area where we could not find help. We could easily leave our kids in the surveillance of staff and have our own time. 3. It's just not about Sea: The cruise from Singapore does not confine only to one island or place. If you are able to extend your stay, you can also visit Phuket Island and Bali on your trip. The cruise halts its stay on the harbour of some amazing islands for a while where you can indulge in sightseeing and quick shopping. 4. A wide variety of Buffet: Being a foodie, I couldn't resist in peck biting of varied varieties of buffet served on 33 restaurants of a cruise. From Thai to Japanese to French cakes, the mouth-watering delicacies can be the reason to prolong a stay on the cruise. 5. The world-class amenities: The cruise had world-class amenities to enjoy. From the well-equipped gym, water lush pool, children play area, theatre, movie hall, engaged each one of us throughout the cruise. The stay on cruise was relaxing for every member of the family who enjoyed the vacation to the fullest. 6. Value for money: The best part about the Singapore cruise is, they are value for money. The class of luxury, service, food and amenities we get on the cruise is totally appropriate for the prices they charge. 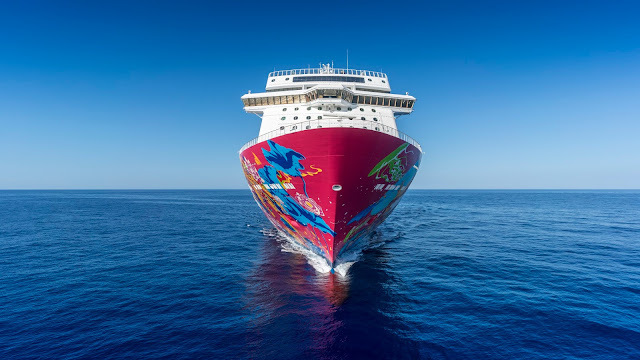 The team and staff of the cruise were excited and motivated to make our trip comfortable and enjoyable and they surely succeeded in rendering it. 7. The shows and formal dinner: The cruises of Singapore doesn't end without a formal dinner. It is followed by the gala parade of stunning acts and dances. Artists from all around the world present spectacular performances that easily blow away your mind and the exquisite dining leaves you awestruck for the rest of your life. 8. The last one is my personal reason': It is a Fashionista ride'. As soon as you board on the cruise you enjoy the company of warm and affectionate fellow voyagers. You not only meet new people and make friends but can also gaze at the hot and trendy outfits worn by them. On the voyage, everybody feels happy and energetic and display the best of themselves making the cruise eye candy for everyone. I almost forgot my weakness of aquaphobia while cruising through Singapore and had a great time with my family. The plan for vacation was to have open air, freedom, luxury and adventure and we had it all on the cruise on the sea. Plan your vacation on Singapore cruise this year and live your dream. I will be waiting to know more about your dream and your stay on the cruise. Holi is just around the corner and winter is still stubborn. Well, winters or not, everybody is going to celebrate it. If you are a person with a gang of friends, you can make it more special. Various places in Delhi organize big Holi parties. The prices are affordable, and you can travel via cabs to avoid public transport; Ola promo codes being one of the many to save you from the hassles and you get discounts too. Taking a break from the norm and discovering a different culture will bring you closer together and create lifelong memories, so take advantage and try something new. Whether it is sampling traditional Indian cuisine from a restaurant or street food stall, taking your shoes off so you can explore a temple, or admire prehistoric artifacts in Delhi's National Museum, it will be an eye-opening experience you can share with your loved one. 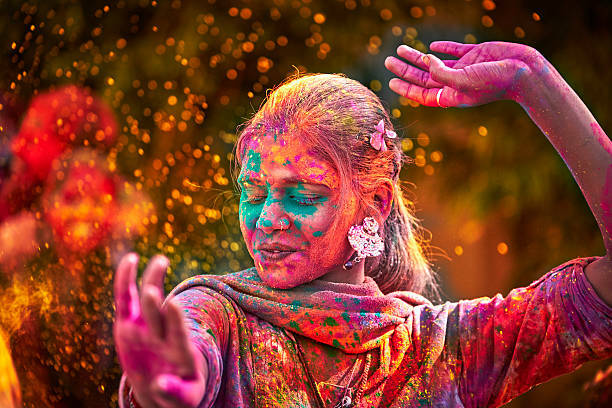 The Holi India Colour Festival is an international Holi celebration party and is the best place to photograph holi in Delhi. It is organized at the golden triangle tourist circuit of New Delhi. This year it will be celebrated from 20 March 2019 to 21st March 2019. The ticket prices are still not announced but it is given that they won’t be available for long, so better be alert all the time. The crowd will be amazing and will comprise of people from North America, Europe, and Southeast Asia; the diversity at its best. This is one of the best parties to enjoy Holi celebration with your gang of friends. Any Holi party in Delhi is incomplete if there are no gujiyas to add some sweet to the moments. Besides, the mocktails and the famous Thandai would add some fun to the party. So, are you ready for some fun? You can enjoy the Holi celebrations like never before with BYOB theme that make you go jump into the pool. So, make the bookings with the very first announcement itself. Balam Pitchkari is yet another fantastic Holi party which can make your senses go crazier. It is celebrated annually at Buddha farms in Noida; the outskirts of the city are just the place to be, right? This is one of the best parties for the folks who like fewer crowds. The name, price and theme for this year's Holi celebration are still not announced. The celebration will be held on 21st March 2019. You can enjoy various activities such as pool parties, EDM, rain dance, etc. This could be your thing if you like everything king size. So head out to this destination and celebrate Holi in a grand way. The Holi Moo Festival will be organized in the Jhankar Lawns, Asiad Tower, Asiad Village, New Delhi. The celebrations will be held on 21st March 2019. They use herbal colours to play Holi and that seems to be a good way. The ticket prices are a bit high and are fixed at Rs. 2500. The festival will feature various stages and international guests. The colours are herbal, and the food is really authentic traditional Indian. If music is your thing, The Holi Sangria 2019 is your go-to destination to celebrate this Holi. There will be a gathering of some of the top DJs of the town. It will be organized in The GameForest Club, Archview Drive, Sector 58, Gurugram. You can enjoy Holi celebration with fun events and music. The crowd is fantastic and cheers will be loud only to set the mood right and the excitement levels high. All girl groups can also enjoy the Holi celebration with no worries. Food options will make your devil stomach crave for more. The party will be held on 21st March 2019 and the ticket price is Rs. 1000. 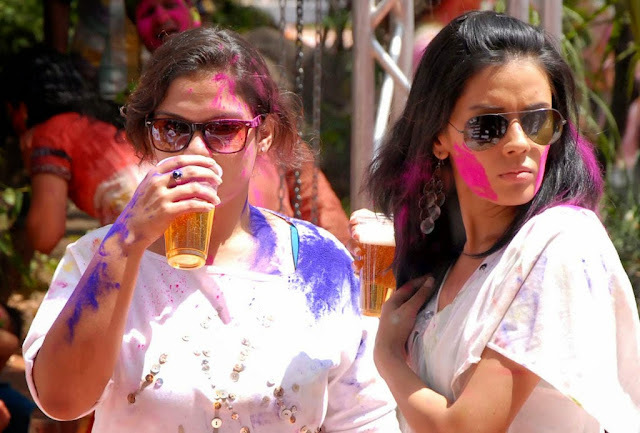 Well, these are the 6 best parties for Holi celebration in Delhi. You can travel from cabs and stay away from the public transports. Taking advantage of Uber or Ola coupons codes will help you save on the rides. So, make haste and book your tickets when readily available because this Holi is going to be just full of fun, frolic and colours of course. Happy Holi! The wonder of North East India lies in its virgin rain-forests, winding roads of the mountain passes and the indigenous lifestyle. Arunachal Pradesh, the secluded and beautiful state in North East India, promises to inspire the collective body of backpackers and casual vacationers. There are many things to do in Arunachal Pradesh. If you too have spring in your feet and you want to soak up the beauty of Tawang instead of reading about it, Arunachal Pradesh is your go-to destination. To be honest, Tawang's name rose in popularity after the Tanhai Tanhai song from the movie Koyla was shot there. Not just Tawang, in fact entire Arunachal Pradesh has become one of the highly coveted tourist destinations ever since. In Arunachal Pradesh, glaciers are found in Greater Himalaya ranges which run along the Tibetan border. All peaks here rise above 4500 meters and are snow covered throughout the year. The area is characterized by the Meerathang Glacier and the Kangto peak which extends beyond the Chinese border and the Gori Chen. What is really captivating in Arunachal Pradesh is the sheer innocence of nature. As pristine as it gets! If you are a solo traveller and you are scouring the internet for leads, visiting Arunachal Pradesh will be the best decision that you will ever make. We will here under discuss about the best tourist places in Arunachal Pradesh. The first of these cultural macro-areas is the ancient eastern pilgrimage route that led to Lhasa, Tibet. This passed through the district of Tawang, where there is the homonymous historical Buddhist Tawang monastery, the Tawang War Memorial and West Kameng which houses the Dirang dzong, the only one in India in a fortified village in the medieval Tibetan style and the capital of Bomdila. Of extreme cultural, historical and naturalistic interest the Sela pass connects the two districts and was the scene of the Sino-Indian war of 1962. The orchid research and development station in Tippi and two other orchid conservation sanctuaries located in Sessa and Dirang are worth seeing places. 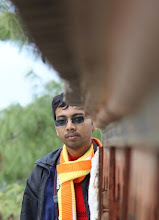 It is hard to imagine a die-hard travel enthusiast not visiting Tawang. It is famous for the scenic beauty and its historical site but the Tawang monastery takes the cake! Tawang is nestled amidst Gudpi and Chong Chugmi ranges while Tawang Chu river washing its feet. 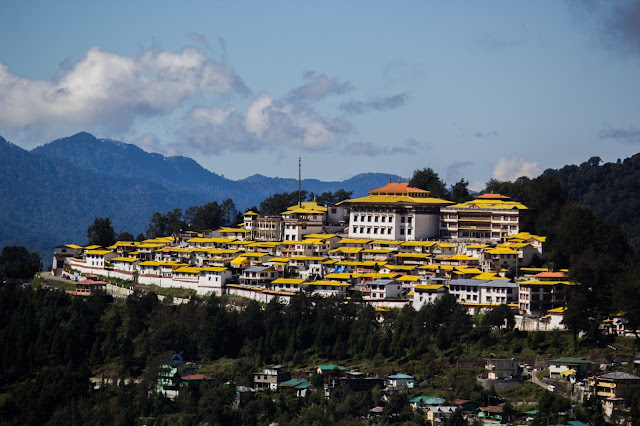 The 400-year-old Tawang Monastery is one of the largest Indian monasteries. Other significant tourist destinations in Tawang include Jaswant Garh, Tawang War Memorial, Tawang Craft Center, Indo-China border, Brahma-dung-chung Ani Gompa and Urgelling Gompa. We will urge you to visit Bap Teng Kang Nuranang Waterfalls in Tawang too. On the journey from Guwahati to Tawang, there was an abundance of towns, fields, forests, hills and rivers to maintain the spirits. And then, as we were making the trip in the month of February, there was a bonus in the form of snow. It was a journey that began auspiciously along the Brahmaputra River. We crossed the green plains of Assam, towards the hills of Arunachal, that enigmatic part of Arunachal that, located in the northwest corner of Assam, borders both Bhutan and Tibet. Going up, we took five leisurely days to cover the more than 500 kilometers and, on the way back, three, and in the middle we spent two days at our destination, Tawang. We drove in a Bolero, and in fact, most of the other vehicles on the route were Scorpios and Sumos. I sat in the front seat with the driver, which meant that I was sure of good views and that I could secure parts of the driver's local knowledge. We started from Guwahati on an unusually sleepy morning, crossed the north bank of the Brahmaputra and traveled through almost continuously cultivated land. We see small fields lined with palm trees, bamboos and bananas, and some nice mud and bamboo houses, often giving way to the cheap functionality of brick and cement. On our first afternoon, we searched (and found) rhinoceroses in the Orang National Park. Shortly before Tezpur, the national highway ended and the double lane gave way to a single lane and shortly after Charduar, forested areas and hills appear in the distance. The forests began to appear with a gratifyingly greater frequency than the fields, and the hills dotted the horizon. Bhalukpong, just one hour before Nameri, is where Assam ends and Arunachal begins, and we arrived here to spend the night. But the next day, everything changed. The change here was dramatic. The internal line permits were verified, obligatory for all the visitors of this border state, and then the climb began. The Jia Bhoroli River was renamed Kameng here, and the first Buddhist prayer flags began to wave in the wind, scattering their blessings. Most of the inhabitants of western Arunachal are called monpas and are mostly Buddhists. In Arunachal, the road is usually a series of sharp curves, sometimes next to the river, then it rises towards the mountains and goes down again. We drove through an unusual habitat of a rain forest with a canopy of tall trees that had climbers climbing over them, and a dense undergrowth creating darkness below. These are areas with minimal human presence, in itself a visual gift. We visited Rupa, an ancient monastery, later in the day. The monastery and the city, originally called Tukpan, are beautifully located at 4,618 feet, surrounded by mountains on all sides. The three-centuries-old gompa is a colorful wooden structure typical of Himalayan Buddhism. Here I was surprised to see a long ritual carried out by the local villagers. It seems that Monpas and Shertukpen have been Buddhists for more than a millennium, and the women retained traces of their previous religious traditions (sometimes without informing men), and then incorporated into the broader Buddhist practice. While we climbed, the temperatures dropped. We crossed the first step of the route, the Bomdila (8,134 feet), and descended a widening forest road, towards the city of Dirang, with its ancient and empty monastery on top of the hill and a beautiful valley spread below. It was the perfect place to spend our first night in Arunachal. The next morning, we left early enough to have enough time to drive to the nearby Sangti Valley and see its winter visitors, the black-necked cranes, and not be late to the highest and most difficult passage of the route: It is. In the afternoon, we stopped at the tea shop of the village on the edge of the road. Far below, we could see a thin silver line that was a river. Around us were the Himalayas, with their upper parts covered with thick white clouds. The clouds rose slowly, leaving behind white patches in the trees that waited outside for snow. When I asked a villager where the road would take us, she pointed and said, they will enter those clouds and they will rise and they will go away inside them. Up there, in those clouds, where they were leaving fresh snow for us, that was the highlight of our trip from Guwahati to Tawang, both literally and figuratively. We were at a height of 9,337 feet, and there was snow on the few rooftops that formed the village of Dzong. It was on the edge of the road, forming a white border for black tar. And it was here that our car started its journey through the clouds. It was as if a thick white ether had saturated everything, blocking all the light. The visibility was less than 100 meters, the trees were heavy with snow and the road was a white field with wheel tracks. We took some pictures there, and they all came out in black and white, there was no color in those frames. It took us 2 hours to complete the 20 km trip that awaited us. The car in front of us got stuck and it took a long collaborative effort to get it moving again. In the end, we had climbed above the clouds, and a warm sun was shining on us. It was quite nice at the top. We were at Sela Pass at 13,700 feet. While driving, it continued snowing. We stop at the Sela Lake for an hour while two men on an excavator were trying to find the black surface of the road beneath masses of white cotton. Around us were hills and valleys covered with snow that I discovered with delight. Tawang, its new city and its old fortified monastery, were only a few hours away. We went down the mountain, which was a place of battles during the Indochina War of 1962, deep in the valley to cross another river, towns of the past and thousands of prayer flags. Finally we arrived at Tawang, which was lost in the middle of the fog, and offered no warmth but enough hope, with its innumerable monasteries, towns and stories. This hope emerged bright and unambiguous in the morning with the sun and radically changed the disposition of the entire city. Dozens of people emerged, dressed in their incredibly colorful costumes, holding bundles of illuminated agarbattis, spreading the fragrance and laughter from one gompa to the next, and all over the hills, whose snow-capped tops smiled benevolently and blessed the initial days of the New Year, celebrated as Losar. The festivities involve a lot of food, drink and dancing, and a break from everything that is considered work, including offices and stores. Those would continue for a few more days as we began our return trip, hoping to experience the snow again in Sela Pass. But we discovered that most of the snow had disappeared, taking with it a large part of the upper layer of the road. The clouds also disappeared, and as a result, for the first time we saw the menacing zigzags of the road below, hugging an almost vertical face of a black mountain. We prepared to face those curves. Our minds were filled with the memories of the lovely walks in the villages around Tawang. It was a lovely time to stop drinking in this change, and we stopped at the Nameri National Park for a night to enjoy the forest, its copious bird life and the Jia Bhoroli River, a tributary of the Brahmaputra. The time we spent at the Eco Camp in Nameri was more than a stopover, memorable with rafting, an island picnic on the river, a risky sighting of two wild elephants and a bit of beer by a bonfire at night. The day we left Nameri, a group of Bodo had called bandh. We were in the Bodo area in Assam and, on the highway, all stores were closed and there were no civilian vehicles. Our driver, himself a Bodo and an expert in negotiating bandhs, waited for an army convoy to pass and accompany them. He also gave us several ideas about the complex political world of several Bodo organizations. Lake Ganga (Gyakar Sinyi) is a beautiful picnic spot, 6 km from Itanagar, a green forest lake surrounded by primitive vegetation, masses of orchids in tall trees, tree ferns provides a small taste of the state's magnificent forests. Eastward after crossing the Deopani bridge in Roing, the main center of the area is Ziro, located in the so-called Apatani Valley, which takes its name from the nearby indigenous settlements along the Kele River. The iconic Apatani Plateau is one of the most breathtakingly beautiful hill stations in Arunachal Pradesh. You should not miss Ziro Putu too if you are there which is a perfect spot to have a birds eye view of the entire Ziro valley. If you are yearning to indulge in trekking, visit the Talley Valley which is located 32 kms away from Ziro. The trekking route stretches between the bamboo, orchids, ferns and rhododendron forests. From here the streets to the Kurung Kumey area lead to the softer Himalayan slopes of the settlement of Koloriang surrounded by the reliefs of Hamching and Gilo Domcho (Lulupo to the south). Continuing in north-west direction lead to the Nyegyi Kangsang, one of the major Himalayan peaks on the border between China and India. Experience tranquility in Ziro music festival. This is not only one of the best things to do in Arunachal Pradesh but a life changing experience in itself. You will be serenaded by many a bands in this festival and they NEVER repeat a band! Of course, visiting this festival will vitalise you and change your mental synthesis for the better. Trekking in the trails of Talle Valley will be the experience of your lifetime. You will be familiar with the ancient tribal culture and customs that help maintain the sanctity of the forests. The Apatani people inhabit the three valleys of Pangey valley, Talle Valley and Ziro Valley. Their indigenous culture is the magnet to many tourists across the year. Daporijo is one of the unexplored places in Arunachal Pradesh that is located 160 kms from Ziro. The pristine valleys are inundated with flora and fauna. Also, the main attraction of this place is its ethnic diversity. This is one of the best tourist places in Arunachal Pradesh, undoubtedly. You can also visit the 25 ft high and 22 ft wide Shiva Lingam in Kardo hills. Ride the white water rapids in the brimming rivers to easily get from one place to another. You can get a glimpse of the golden mahseer, a great game fish when making your way through Upper Siang, between Yingkiong and Boleng. Also known as the beyul (meadow), this is for lovers of mysticism and, of course, trekking. The name of the walk itself is translated as the earth hides the shape of a lotus. For this, you must start from Tuting, the last city in which you can go by motorcycle, near the border with Tibet. Take off towards Kuging Village through the suspension bridge. You will cross some of the most beautiful landscapes of the attached farms and the Yangsang Chu River here. Although it is very necessary to rest one night here, you can take a walk to the town of Mabi the next day. The change in flora is quite evident here, since the subalpine vegetation marks the landscape here. Another 3 hours of Mabi will take you to Yungchak, where you can leave it for a day and set up your tent right in the rhododendron forest. Start early the next day because you need about 5 hours to get to the next stop that is Kanebenga. Try to stand on tiptoe and from here you can see Chinese villages. While you spend a night here with the bulbs in the villages that shine at a distance, walk to Pao Limik the next day. While now there will be nothing in terms of vegetation, you will stumble upon small and beautiful lakes in the stretch. Your next stop later is the sacred lake of Danakosha. You will stumble upon small beautiful lakes on the stretch. After climbing a steep stretch, you will find yourself face to face with the still distant peak of the Titapori mountain. When you cross the five sacred lakes and head to Wangchen Phukpa, you can find an Ibex or Red Panda lounging freely! A quick start the next morning can make you cover both Dungchen Droma and Tashi Droma the next day, taking you through a forest full of orchids to Tashigang Village. Your next stop after it is the village of Payengdam, where you will find a little-known monastery. Stay here at night, as this is the last stop on the hike before starting the descent. It takes about 20 days or more to complete this walk. Further north, following the course of the Brahmaputra rises another of the most important Himalayan peaks, Namcha Barwa. This is an incredibly rugged and little visited area where in addition to the presence of local indigenous people, the Tibetan most sacred beyul is found, or secret places that guard the terma, the hidden treasures of Buddhist knowledge. Malinithan is a ruined temple site. It is situated at the foot of the Siang Hills. These rich granite sculptures belong to the 14th century, being Indra more important in Airavat, Surya in Chariot and the huge Nandi bull. The temple dedicated to the goddess Durga in Malinithan is based on the classical tradition of Odisha. Akashiganga is believed to be associated with the legend of Parvati narrated in the eighth century Kalika Purana. One of the most important places from a historical-cultural point of view is the so-called Parshuram Kund not far from the city of Tezu. Thousands of pilgrims visit this place from all parts of India every year during Parshuram Kund Mela held in the month of January. Bhismaknagar located in the district of Dibang Valley represents what is best in the tribal and Aryan way of life. Namdapha National Park is one of the offbeat places in Arunachal Pradesh which conserves the Red Panda population among the 20 other esteemed areas across the nation. In the Eastern Himalayas, Namdapha National Park is the largest protected area and a hotspot for biodiversity. Located in the Changlang district, Namdapha is famous for its wildlife sanctuary. It is a few kilometers from Miao. For the the truly dedicated wildlife fanatic, a visit to the Namdapha National Park is a challenge. The majestic gaur or mithun, elephant, black bear of the Himalayas, takin, the wild goat peculiar to the Patkoi range, musk deer, slow loris, binturong and the red panda are found here. How to reach Arunachal Pradesh? By Railways: The Naharlagun-Guwahati intercity express scales a route from Delhi to Tawang. There are only two trains of the same run on this network. By roadways: One can easily reach Arunachal Pradesh by road from Guwahati, the capital city of Assam. There are other neighboring cities such as Jorhat, Dibrugarh, Tinsukia and Nagaon from where one can board direct buses to reach Arunachal Pradesh. What is the best time to visit Arunachal Pradesh? An indispensable part of the Seven Sisters, Arunachal Pradesh is an amazing place to visit between October and March. Going by the suitable weather conditions, the best time to visit Arunachal Pradesh is from October till April. Throughout this period, winter reigns supreme in the valleys which provides a breather from the scorching heat of the other states. How to Apply ILP for Arunachal Pradesh? Arunachal Pradesh is a protected area and all visitors must obtain a permit to enter. Domestic tourists must obtain an Internal Line Permit (ILP) and foreign tourists, a Protected Area Permit (PAP). ILPs can be obtained from the office of the Resident Commissioner of Arunachal Pradesh or from the liaison offices located in New Delhi, Kolkata, Guwahati, Shillong, Dibrugarh, Tezpur, North Lakhimpur and Jorhat. PAPs can be obtained from all Indian missions abroad and from the Regional Foreigners Registration Offices (FRRO) in Delhi, Mumbai and Kolkata. You will need two passport-size photographs while making the request. This state that is full of culture and effervescence has become perennial favourite of the traveller from an unsung destination because of its Instagram-worthy landscapes. Tucked in the lap of tall Himalayan mountains, Arunachal Pradesh also boasts of rich Buddhist history. The verdant valleys and swift rivers will take your breath away for sure.